This past weekend, Mom reflected on Dr. King's assassination in April of 1968, recalling how her phone started ringing and didn't stop. How she had to swallow her own agony to try to comfort other activists, who were half-mad with grief while cities burned with hopelessness. My mother was especially upset that she was unable to attend the funeral—she’d recently had a Caesarian section to give birth to my new baby sister, Johnita. My father, civil rights attorney John Due, represented our family for Dr. King’s funeral in Atlanta. My mother knew Dr. King. She had his private telephone number. Dr. King was the unassuming young pastor she first met when he made a presentation at a CORE workshop (Congress of Racial Equality) she and her sister attended as college students in the summer of 1960. Before CORE, my mother had been a typical college student practicing her music, discovering her social life. But they never got to dinner. Dr. King and Rosa Parks had gained national notice during the Montgomery Bus Boycott from 1955-1956. Blacks had also launched a bus boycott in Tallahassee, Florida, in 1956, although it happened right before my mother and aunt arrived at Florida A&M University in Tallahassee, where they attended college. In the fall of 1959, still students at FAMU, Patricia and Priscilla Stephens organized a CORE chapter in Tallahassee. By 1960, six months later, she and her sister were in jail. They had been arrested after ordering food at a Woolworth lunch counter in Tallahassee during a sit-in. My mother, aunt and three other FAMU students were the first Jail-In in the nation during the student sit-in movement, choosing jail rather than paying a fine. Next year is the 50th anniversary of the Jail-In. My mother and aunt ultimately spent 49 days in Leon County Jail, garnering international attention. At the time, my mother was 20 years old. 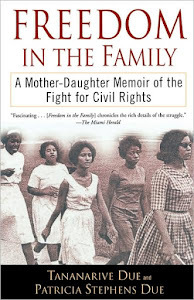 As my mother and I filed papers in her library these past few days, I ran my fingers across the yellowing stacks of typed and hand-written letters the jailed students received from all over the world--people of all races who were bewildered and outraged that black students could be sent to jail for trying to order food in a public restaurant. "I have just learned of your courageous willingness to go to jail instead of paying fines for your righteous protest against segregated eating facilities. Through your decision you have again proven that there is nothing more majestic and sublime than the determined courage of individuals willing to suffer and sacrifice for the cause of freedom. You have discovered anew the meaning of the cross, and as Christ died to make men holy, you are suffering to make men free. "As you suffer the inconvenience of remaining in jail, please remember that unearned suffering is redemptive. Going to jail for a righteous cause is a badge of honor and a symbol of dignity. "I assure you that your valiant witness is one of the glowing epics of our time and you are bringing all of America nearer [to] the threshold of the world's bright tomorrows." Brightness hasn't reached everyone, especially in this flailing world economy, but in 2009 we are all waking in one of the tomorrows Dr. King wrote about. This past weekend, I sat with my mother while she remembered Dr. King's assassination. How she had to tend to that ringing phone. How concerned she was that people she cared about would be hurt in the night's riots. Wondering what the future held. On April 4, 1968, these bright tomorrows must have seemed oh so far away. 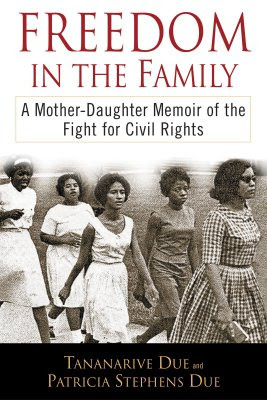 I am completely awed to learn about your family's civil rights personal history. So not only are you and your husband two of my favorite authors, you are my hero! I didn't know about this book and plan to get it today. Thank you for sharing your experience. I think we don't hear enough from all the many actors in the movement who are still out there and represent new perspectives on a history we still don't know well enough - black history month ad nauseum recitations nonwithstanding. You're probably done now, but I also loved Baldwin's "Another Country" as well.